A response to all those sappy mommy books with flowers and puppies on the cover. Jill Milligan, mother of two, has set her sights on the joys and stresses of motherhood. Unlike other mommy books, though, Mom Rules is a hilarious book for the hip, twenty-first-century mom who can use a laugh (if not a drink) at the end of another trying day with her kids. Practically any woman can become a motherbut it takes a certain amount of creativity, humor, and cracking the book on discipline to be the best mom out there and to establish Mom Rules. Whether you’re a stay-at-home supermom who has to juggle softball practice, poopy diapers, and trips to the dry cleaner’s, or an Internet-dating single mom battling with two hormone-driven teenagers, this book offers useful insight and wise words on how to embrace the world’s best job. Throughout this book, Jill explores the various stages of motherhoodfrom announcing a pregnancy to late-night feedings to second-child syndrome to empty nestingand provides comical anecdotes and sound advice on how to survive your teenage daughter’s dating outfits and your young son’s potty mouth. 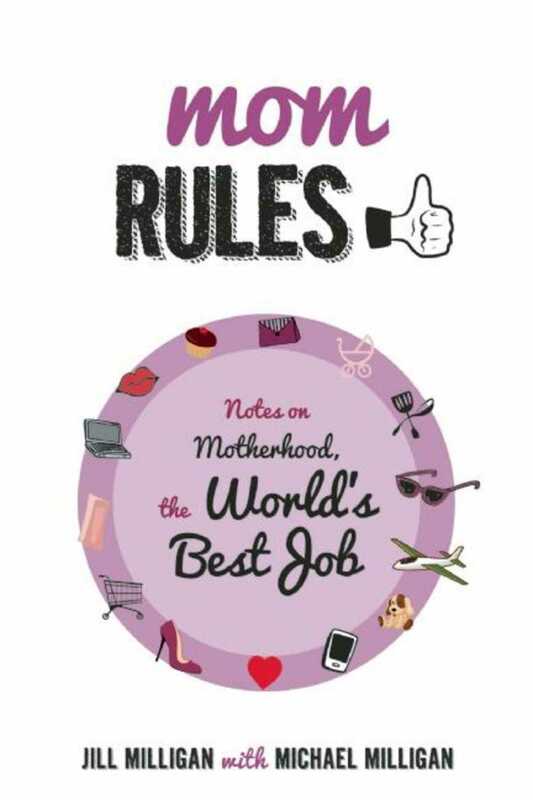 Mom Rules is the guide for the moms in your lifefor Mother’s Day, for her birthday, upon the birth of her first child (or second, or third . . .), or just for her to read and laugh out loud over while parked and waiting in the school carpool lane.